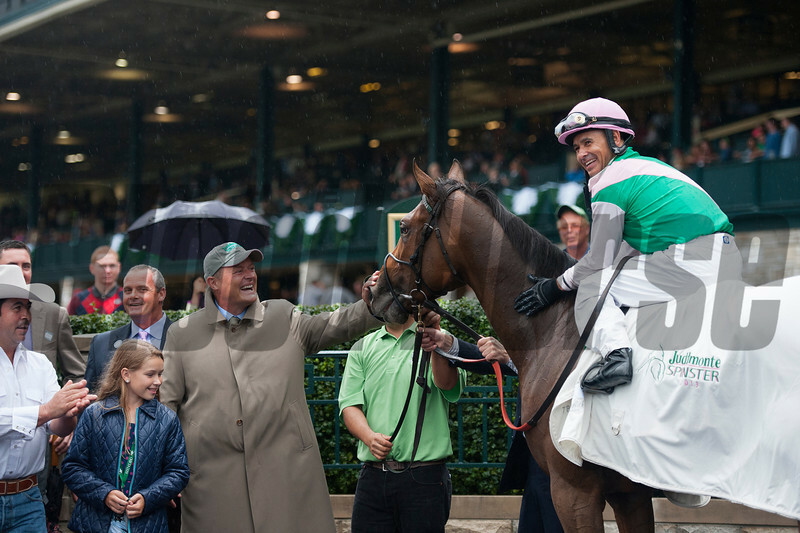 Caption: Garrett O'Rourke with Juddmonte, left, rubs on the filly Emollient in the winners circle. Emollient with Mike Smith up wins the Juddmonte Spinster Stakes (gr. I).